After the death of loved one, many people turn to grief self-help books to understand what they are feeling. The right grief book can shine a light on the complex emotions of bereavement, providing expert knowledge and compassionate care in your time of need. 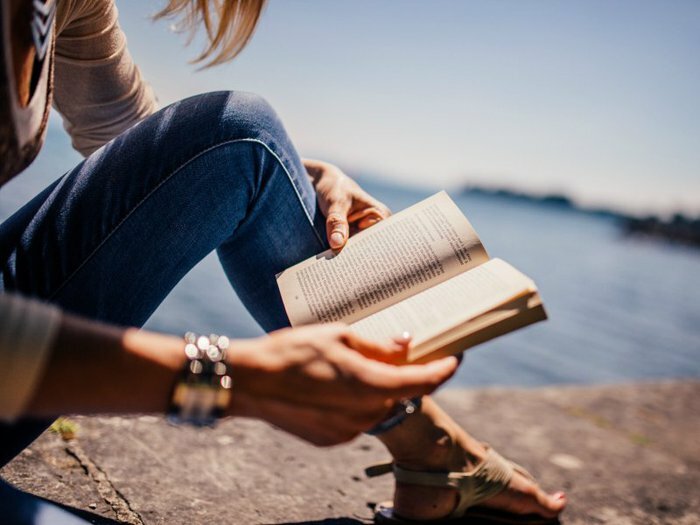 Here are 10 of the best self-help books on grief, from respected doctors and those on their own journey through bereavement. Jill Brooke is no stranger to grief – she lost her father when she was just 16 and later lost her unborn child. 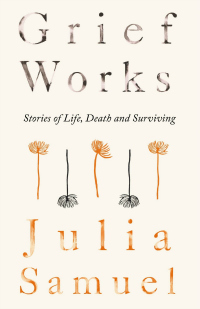 She uses her own experiences, and those of others, to illustrate how grief affects people in this book. 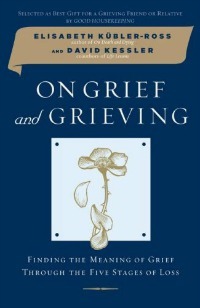 As well as examining how different people grieve in different ways, this book offers practical strategies to cope with grief and commemorate loved ones in your daily life. Brooke stresses the importance of confronting grief so that you can allow it to transform you and move you forwards. Kelly Farley’s unique book is an unflinching look at the trauma and grief that men face when they lose a child. 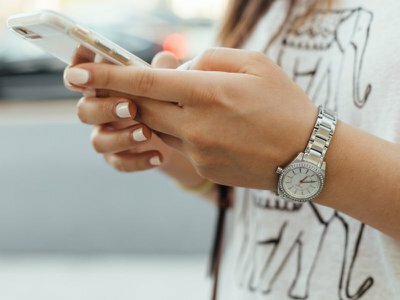 Kelly lost two of his own children, Katie and Noah, and realized that many men feel they have nowhere to turn and are afraid to talk about their feelings. 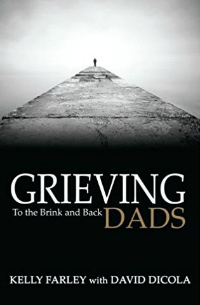 This moving book draws on his experiences counselling and supporting grieving dads from all over the world, helping them acknowledge grief and rebuild their lives. Julia Samuel is a British psychotherapist and founder patron of grief charity Child Bereavement UK. She wrote this bestselling book after years of experience helping children and adults through the challenges of grief. Using first-hand accounts of bereavement, Samuel explores how grief works, offering insightful advice for readers who have experienced the death of a loved one or want to better support a friend who is struggling. Elisabeth Kubler-Ross is the Swiss psychiatrist behind the ground-breaking five stages of grief theory. 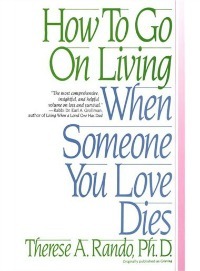 This book, written with David Kessler, explores how people grieve and how to rebuild your life after the death of a loved one. 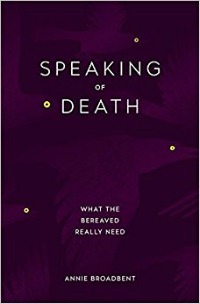 The book combines psychological theory with practical advice, case studies and the authors’ own experiences of bereavement, making it both informative and incredibly moving. 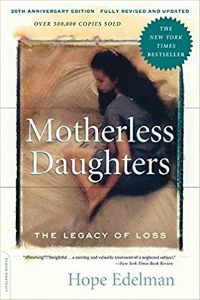 A New York Times bestseller, Motherless Daughters is a powerful exploration of how women, young and old, piece together their lives after the death of their mothers – one of the most important role models in any child’s life. Hope Edelman draws on her own experiences of losing her mother when she was just 17, but she also interviews other women who experienced the grief and heartbreak of living without their mom. Facebook COO Sheryl Sandberg collaborated with renowned psychologist Adam Grant on this self-help book after the sudden death of her husband, Dave Goldberg. 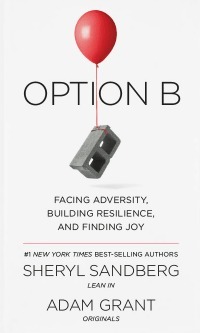 Combining Sandberg’s personal account of grief with Grant’s expert insight, Option B aims to help readers understand how to become more resilient in the face of hardship – including everything from the death of a loved one to surviving a natural disaster. 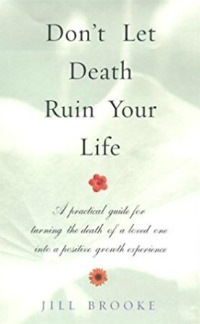 As the psychologist behind the six ‘R’s of mourning, Dr. Therese Rando is a respected grief expert with years of experience studying how people cope after life-changing losses. This self-help book emphasizes that there’s no right or wrong way to grieve and guides the reader through the grief process, exploring how to find the best way to cope for you. From understanding your own grief to talking to children about death, this is a comprehensive guide to bereavement. With 365 thoughts or ‘meditations’, this book will guide you through a year of grieving, with words of hope and meaning to help you understand your emotions and yourself. Each day has a quotation to reflect on, a passage to read and a meditation to help you focus on what you need. 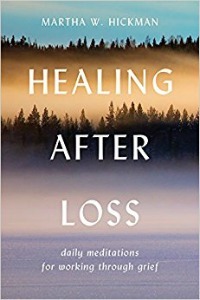 Healing After Loss has over 1,000 positive reviews on Amazon, with readers praising its inspirational words as a great support in the wake of bereavement. 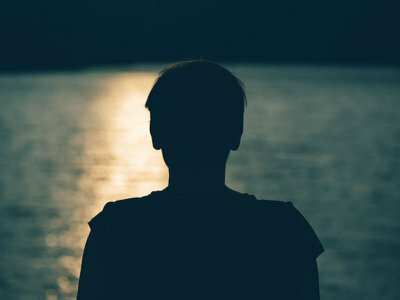 Grief expert Alan D. Wolfelt penned this comprehensive guide to help widows and widowers through the tragedy of saying goodbye to their loved one. 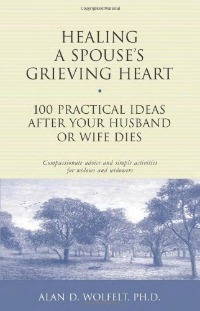 It has 100 tips, strategies and pieces of advice to help you through bereavement. This book makes up part of a series of practical ideas for coping with grief, including specialized titles for supporting a child, teenager or friend. Bereavement psychotherapist Annie Broadbent wants to break down the taboo around talking about death and grief. 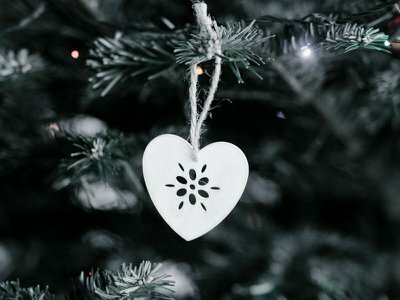 She believes that we need to move past the awkwardness and reach out to people who are grieving to let them know we care. Speaking of Death is a guidebook for anyone supporting a friend or relative through grief, helping you say the right thing and truly be there for that person when they need you most. Discover more books on grief and bereavement.